There are several things you need to keep in mind before you hire any junk car removal services. 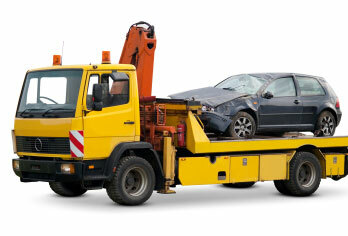 You can find good junk car removal services by following these points. You want to ensure that the company has a good reputation. It’s critical to work with a company that is well-known. This is easier to find out about if you live in a smaller town where everyone knows each other but harder to do in the city. If you live in the city you may have to conduct some research online prior to hiring any service for the job. Try to ask others that you know about the company you are thinking about hiring. Go to your local mechanic shop and ask if anyone has any recommendations for you. You need to do this prior to hiring any removals service because the reputation of the company is going to be key to getting a superior service. Try to hire a service that is close by. If you hire someone that has to come a long way the fees may get expensive. If you do this you’ll save some money so try and find a service that is close to you. In small town where they may only be a couple of services this may not be much of a factor. In the city where people have to wait in traffic and burn more gas or travel on the highway, it’s best to get tone as close to you as possible. You want to ensure that the company will give you a fair value for the car in return. You will need to get some quotes on the money you’ll get in return for removing the junk car from your property. Look to two or three companies to give you quotes so you maximize the amount of money you get back for the removal of your junk car. You don’t want to go with the first service. If there’s several in your local area you may be at an advantages because they may all compete for the removal and offer you a better rate. Make sure you get some assurances that the car pickup will be done. Get this on paper so you have a reference of it. Most companies are going to show up so this shouldn’t be much of a problem. Call if they happen to be late and see what is happening. Sometimes a removal can be problematic and they may just be running behind. You have several things to consider when looking for a junk car removal service. Make sure you take your time and don’t rush the process. Try to get quotes from several companies and ask around before you hire anyone. You want to get a company that has a good reputation and one that is reliable. There are plenty of good services if you know how to look for them. Sometimes we need to remove old cars from our property. While you can do this on your own it’s often better to hire a removal service due to safety concerns. Here are some tips on hiring a junk car removal service. What makes you different than other removal services? How do you handle safety issues? Will you take care not to ruin the yard with your truck? Do I need to do anything to the vehicle prior to your arrival? It’s important to ask question so you get a good sense of the junk car removal service before you hire them. The more questions you ask the better. You should ensure that the service can answer all your questions before you decide to hire them. Try to go down to their office in person to talk about the removal if possible. It’s easier to get an impression of the service in person than over the phone. Look for a neat and well organized office as this is an indication the company cares about its work. The easiest way to find a good junk car removal service is to ask for references. This ensures that you get a service that’s reliable and professional,. By checking the reference you can see what the overall impressions of the service were from people that have actually used the removal service. Never work with a company that refuses to give you a reference or some testimonials. You might want to ask some friends if they know anything about the service or if they have used them before. In many cases word of mouth is helpful because the reputation of a good service gets spread around to others. For example, you may know a mechanic that has a friend who removes vehicles. This can save you a lot of headaches of looking for services for junk car removal. Before you hire it’s a good idea to see how much it’s going to cost. Try to get quotes from at least two services so you can compare rates. Some companies may try to overcharge you for the removal so you need to be careful. A company may try to overcharge a woman so make sure the negotiations are conducted with a man present. Often we are disappointed when we hire someone because we didn’t conduce enough research prior to the hiring. Take your time and ensure you hire the right people for the job. Gets some references and quotes before you make your final decision on the junk car removal services you want to hire for your task. Hazara Car Removal is specializing in the removal of unwanted, old as well as damaged cars. We are buying scrap autos, late model salvage, insurance write off and MOT failures. We are the largest buyers of the wreck automobiles in the entire country. We offers free removal service whatever the condition of the car is. Moreover, we are specialized in arranging vehicle removals service without having any cost. Nothing is more frustrating than the feeling you get if your car breaks down on the highway. This problem creates immediate hazards and could end up costing you a lot of money. How do you going to find a great mechanic? The following advice will help you get the best repair service. Ask a potential mechanic is he is familiar with working on your car. If they have done so, they will probably know what must be done to help your car work again. Referrals are your best best when searching for finding an auto mechanic. Ask around for their recommendations. You can find out great information about the quality of service and the costs. People can tell you what type of experience they had to deal with and if the person was honest or not. Be aware of mechanics that do unnecessary repairs to the car. A good mechanic will never perform work without getting your vehicle and they'll give you options as to how to proceed. Never return to a mechanic that preforms unnecessary repairs. Make sure that you replace old parts with OEM parts.These parts are original components from the manufacturer. Generic parts may cost less, but also less reliable. What is a deal now can cost twice as much as buying OEM in the first place. Don't leave valuables in your car when it's being repaired.Mechanics may need to take these items out to do the inside of your vehicle and they cannot be held responsible if an item is damaged or missing. You want to remove all the items from your trunk also. Always think of how to fix your car's problems yourself before you bring it in for repairs.You probably already know that a few mechanics sometime engage in dishonesty if they think they can make a larger profit. Keep a spare tire and a jack handy at all times.Most of the new cars come with them. You would hate to be stuck out in the road and need to pay a lot for towing.You can save a lot by performing tasks yourself. While most mechanics can be trusted, there are some that will charge you for unneeded repairs. Try and locate a shop that specializes in servicing your specific type of car. These shops are more likely to understand how to perform the repairs your vehicle. The ignition cannot hold the weight of your keychain can cause problems for your ignition. If your keys starts sticking, you need to get new tumblers and no longer use that little troll head keychain! It is important to have your regularly scheduled oil changes. You should regularly get the oil changed to make sure your car running smoothly. If your oil is not changed on a regular basis, your car could stop working much earlier than expected. Doing repairs yourself can be hazardous. Always have somebody nearby to help you if there is an emergency. Buy only the highest quality tools that will not break easily. This is the tools you are investing in equipment to change your tires. The jack you are working on the underside of the car. That's why sometimes it's best to get a hydraulic floor jack that comes with approved jack stands. Knowing how to find the right mechanic for your auto repairs can be tricky. But, it can be a lot less hassle when you have the right information to hand. Figuring out what you need to look for and what to ask people can help you to succeed at getting the right things done. Use these tips when your car next gives you problems. Having a car repaired is something that can strike fear in the heart of countless individuals.You need to learn more about auto repairs to make sure you are taking good care for your vehicle. The article below contains the information with regards to auto repair. This shows that the mechanic has passed a special test for competence and has at least two years experience as a mechanic. This is a good way of mechanic who will care about doing a good job so they can keep their certification. You must wash your car often to avoid rust.All cars eventually succumb to rust, but you may delay it considerably by ensuring all chemicals and salts are washed off quickly. Use a decent wax for protecting paint job as much as you can. Keep a record when your vehicle. If you experience future problems with your vehicle, you will find it helpful to have some records for the next technician to look at. Make sure any mechanic you hire knows about your particular car.If you cannot be sure, consider having a dealer repair your vehicle. Assemble a DIY auto repair kit to keep in the trunk of your trunk. Your car came with what you need to change a tire. You need to get a lug wrench and a jack if you do not have them. You should have a few screwdrivers with various shapes as well as different wrenches like for this kit. Know what all the lights on your dash represent. These lights can let you a good indication of when your vehicle needs some maintenance. Ignoring them for extended periods of time will not make the problem go away. It is important to have your oil changes. You have to change it regularly get the oil changed to make sure your car running smoothly. If you don't change it, your car may not last as long as it could. If you feel that your car has even the smallest of problems, you should have them checked out. A seemingly small problem may grow into a big one if it is left unchecked. If you're short on funds, the repair department in vocational schools may offer you service at a fraction of the cost. You will pay much less for your repairs and will help students are under the watchful eye of their qualified instructor. Keep track of all your mechanic receipts in an accordion folder in your glove box. You can categorize them chronologically or by service repair type.This is important to have when it is time to sell your auto repair done to save money. Set an expense limit that you are willing to let the mechanic reach without specific authorization. Don't simply allow the mechanic make any repairs as they want after your drop off your car. Set a specific amount that they don't call you first. Always ask questions when speaking with a mechanic. How long are the job take? What type of work are they doing for you? How much do the parts going to set you back? Ask anything that concerns you about the work being done. Car trouble is something that every owner gets frustrated about. But, if you educate yourself and know the basics, you can save yourself time and stress. Keep these tips handy, and you will be able to confront any problem. Do you wish you were skilled enough to fix your car yourself? Have you ever thought about handling parts and maintenance yourself? You may just want better insight into how to choose a mechanic.Read on to learn how to choose the right person. You do not need a mechanic to fix your car has problems. There are several things that can fix easily. If the job is not too complicated, you can usually do it yourself. Make sure you specifically request OEM parts. These parts direct from the manufacturer. Generic parts may be cheaper, but also less reliable. It may cost twice the amount later as OEM components to begin with. Never leave anything in your car when it is getting repaired. Mechanics may need to take these items out to do the work and they cannot be held responsible if an item is damaged or missing. You should also remove items from your trunk also. Look for signs that your mechanic is not as competent as you might hope. If they tend to talk in circles or ignore your questions, you'd be wise to not use their services. You should feel like you can trust them, so don't be afraid to choose another one. Always try to figure out the problem with your car's problems yourself before trying to get it repaired. You probably already know that a few mechanics will come with lies to charge more money. Keep in mind that DIY repairs can be dangerous. Always have somebody nearby to help you in case of an emergency. Buy quality tools that will last. This holds true particularly in the case of the tools needed for things such as tire changing tires. The jack needs to be reliable so you are safe when you go under the car secure above you. That's why it's smart to use a good hydraulic jack with approved jack stands. There are a few different classifications that determine the quality of the part.New parts are made to meet the standard manufacturer specifications by an independent retailer or the dealer themselves. Refurbished or rebuilt parts means that have been restored to working condition. Salvage means used and they have not been altered. If you see a small problem in your vehicle, it may be a good idea to have it checked out anyway. A small problem can become a major one if don't pay attention to it. If you are living on a budget, but are on a tight budget, think about asking a local vocational school if they have an auto repair class. You will pay a very low rate for the repairs in return for allowing students to work on your car while being supervised by a licensed mechanic. Don't buy parts to you that say they're going to last a lifetime. This is generally just a way for unscrupulous parts dealers to get more money out of you. One example of this is transmission fluid will last a lifetime.While you don't have to change this a lot, you will still have to change the fluid every 80,000 miles. OEM is also known as the abbreviation of Original Equipment Manufacturer. Remember this when you have parts replaced. You will seem like you know what you are talking about if you tell a knowledgeable person on auto repair by telling your mechanic to install OEM parts. This will lower your chances of getting someone less likely to try placing used parts on your vehicle. Don't lose hope about repairing your car. Get serious and use all of the tips in this article so you can do the job yourself. You now have the knowledge you need to proceed.